On the same January 27, 2016, that Pope Bergoglio watched a show by circus artists, he also received the Clowns of the Smile. This is a group that performs in hospitals and homes of Rome, supposedly to bring relief to suffering children. 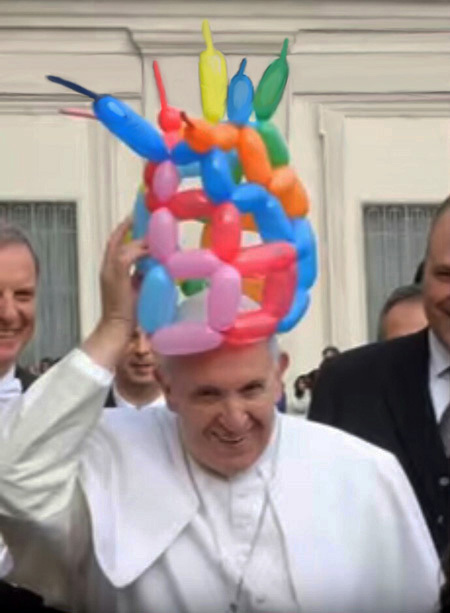 The clowns gave Francis a hat of balloons specially made for him, which he duly set on his head, above. They also offered him a red nose, which he proceeded to place on his nose, first row below. We all know that Bergoglio is methodically destroying what the previous conciliar Popes left of the symbols of the Catholic Church. It is ironic that now, by wearing this histrionic hat of balloons, he found the perfect symbol for himself and the other progressivist Popes. He found the perfect “tiara” for Progressivism. 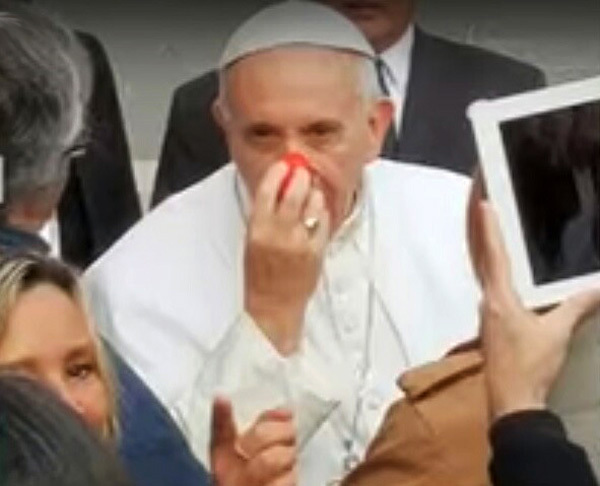 This Pope-clown for the second time publicly donned a red nose. We wonder when he will start to oblige the Cardinals and Bishops to wear clownish noses as well. 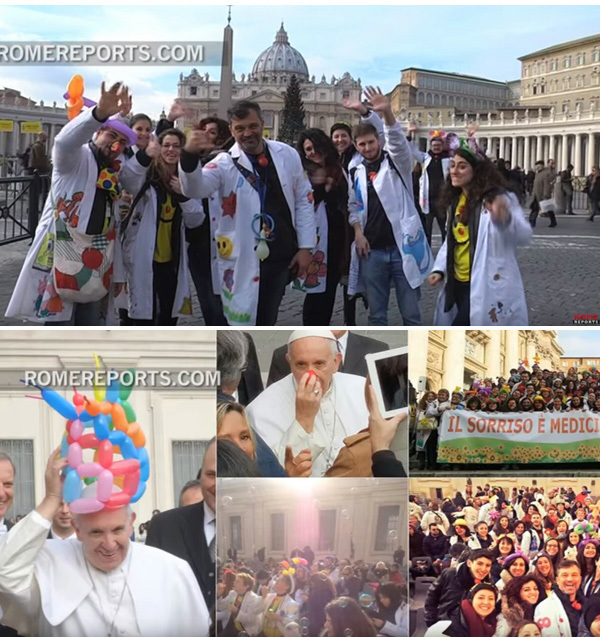 Second row, the Clowns of the Smile; third row, the original photos from the video by Rome Reports.